We’ve all heard someone say, “I’m a dog person” or “I’m a cat person”. 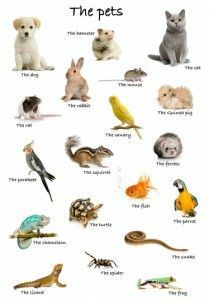 Have you ever thought about what your choice of pets says about you? 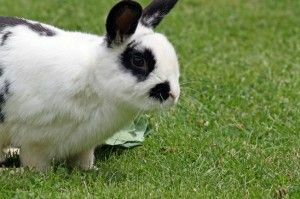 Researchers have found that the kind of pet that we prefer says a lot about our personality and lifestyle. Even “dog” people and “cat” people have preferences. I personally am a “dachshund” person. Research has found that people who prefer dogs are generally more religious, more conscientious and more honest in their relationships. Those who prefer cats are more socially conscious, happier in their jobs and tend to be more independent. We can break it down even further than that, though. If you own a Golden Retriever, you’re probably a social butterfly who loves people. Beagle owners are loyal and stubborn, and those who prefer Cocker Spaniels are affectionate, gentle and nurturing. Chosen professions for people who are dog lovers often include the military, the entertainment industry, nursing, IT careers and professorships. Many CEO’s are dog owners as well. Cat people also have their preferences. 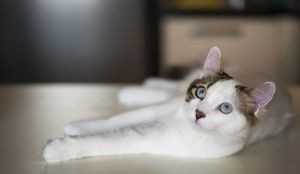 Siamese cat owners are said to be great communicators, and if you own a calico or tortoiseshell cat, your home is probably beautifully decorated and the envy of all your friends. Abyssinian owners (in addition to being great spellers) are endowed with flexibility and creativity, while those who prefer Persian cats are homebodies. If you are a cat person, your preferred career fields tend to gravitate toward real estate, machine operators, doctors, lab technicians and personal caretakers. We don’t often hear anyone say “I’m a fish person”, but if that’s you, congratulations. You are optimistic, introverted and non-materialistic. Fish owners tend to prefer farming, fishing and forestry careers, the financial industry, human resources and jobs in transportation. Law enforcement officers, writers, PR people, social workers, engineers and editors tend to be reptile people, preferring to own snakes, lizards, bearded dragons and the like, while bird owners are most likely to be satisfied in their jobs, which can include advertising, sales, construction and administrative positions. Of course none of these stereotypes apply to everyone. Factors such as living situation, allergies and travel can have a direct influence on what kind of pet you choose to keep. You don’t have to be an introvert to love fish, and there are extroverted people who don’t want to own a Golden Retriever. There are atheist dog owners and cat people who don’t really worry too much about the environment. The purpose of the study was not to categorize people, but rather to show that there is often a direct link between our choice of pets and our personality. The important thing to remember is that no matter what kind of pet we’ve chosen to own, there is often an unbreakable bond between us and our furry, yappy, meowy, scaly, slithery friends…a bond that can be just as strong as the one between us and our fellow humans.